Cinema, opened October 1936. 4 screens, total capacity: 737 seats. Closed. 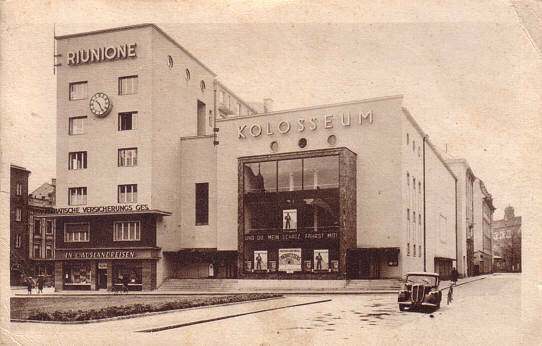 Front Text: signs: "Riunione", "Kolosseum", marquee and posters: advertising the 1937 films, "Und Du mein Schatz fährst mit" and "Condottieri"
Reverse Text: "Linz a. d. Donau, Schillerplatz"